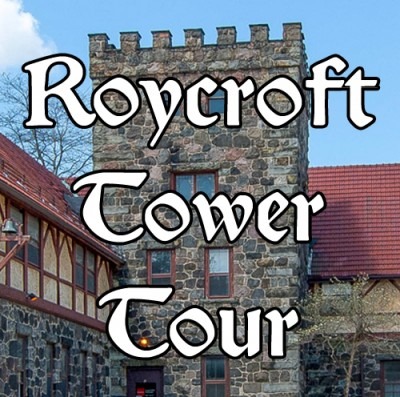 This one of a kind tour will lead participants up into the top floor of the towers on the Historic Roycroft Campus; the triangular Ruskin Room of the Inn, the round tower of the Chapel, and the square turret of the Print Shop. This tour is 2 hours and is not wheelchair accessible: there is considerable walking, standing and stair-climbing including some very narrow and steep stairs. Please wear good walking shoes, part of the tour is outside. Space is limited, registration required.